Blog Why You Ought to Give ExpressVPN a Try! We don’t want to bore you with boring VPN reviews, that’s just so cheesy… but with the threat to our privacy ever increasing and these threats not just coming from criminal elements but also state actors, it might be the right time to evaluate a few VPN services that have caught our attention. ExpressVPN is one of those services. ExpressVPN is located, at least for legal reasons, in the British Virgin Islands, neutral territory so to speak. Pricing is standard, USD 12.95/month coming down to USD 8.32/month if you prepay for 12 month. All plans offer the same features, 145 server locations in 94 countries, unlimited bandwidth, unlimited server switching, 256-bit AES encryption, apps for every device, and the VPN protocol of your choice. You can use up to 3 devices per subscription, route only some traffic through the VPN (split tunneling), they’ll support you via live chat 24/7 and you get a 30 day money back guarantee. Where are they located? ExpressVPN is legally located in the British Virgin Islands. What are the logging policies? ExpressVPN does not log where you connect from nor what you are doing when you are connected. ExpressVPN’s Terms of Service are easy to understand and follow the usual path, you agree to abide by them and they can change them at any time without notifying you – standard! 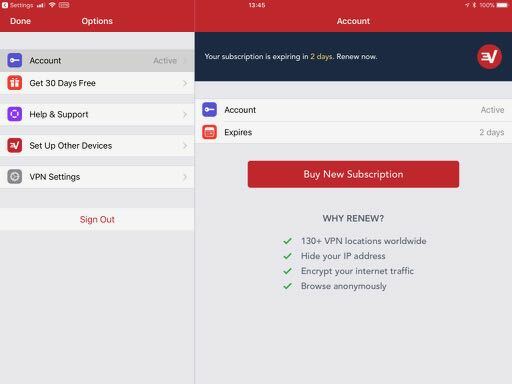 ExpressVPN offers a 30 days, no questions asked refund policy, just be sure not to make changes to your subscription during that time as it voids that guarantee. The Acceptable Use section basically says don’t do anything illegal, the license sections states that you aren’t authorized to do anything else with the software other than what it is intended for. Furthermore ExpressVPN will not guarantee anything and don’t try to sue them should something go wrong. Please be aware that they will store personal information you submit to them, for example an email address or information required to process your credit card should you choose that form of payment. ExpressVPN will also loosely monitor the aggregate sum of data transferred to identify users that push more traffic than 1000 average users combined, in which case they will ask for an explanation; however, for most of us that should be the exception of the rule, so I am not concerned about it. Express VPN supports Windows, Mac and Linux desktops, iOS and Android, Firefox, Chrome and Safari extensions, and even offer detailed installation instructions for routers – this is, by the way, where setting up your VPN might be anything other than smooth and simple… But I’ll get to that! ExpressVPN uses 256-AES encryption to secure your connection, which is the current standard. What’s great here is that your DNS requests are handled by ExpressVPN as well keeping your DNS queries protected from prying eyes, as some VPN services use 3rd-party DNS servers potentially compromising your privacy. ExpressVPN has a build-in kill switch for their Windows and Mac apps, stopping all Internet traffic should your VPN unexpectedly disconnect for some reason. This is a great feature especially if your computer remains active online while you aren’t watching, severing the Internet connection completely should the VPN suddenly quit. I like this feature, it allows the user to decide what traffic goes through the VPN and what traffic doesn’t. 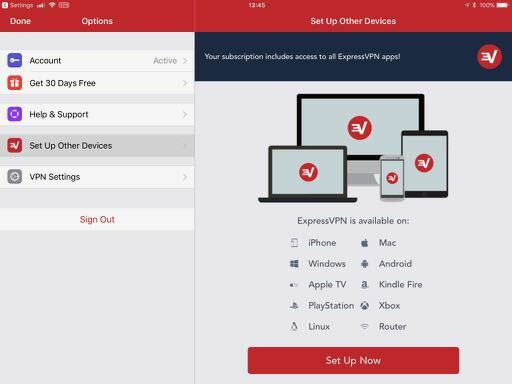 ExpressVPN provides 2 ways to accomplish this, either sending all traffic through the VPN allowing you to deselect those applications you don’t want to use the VPN or the other way around by allowing you to select only those applications and devices you want to send their traffic through the VPN. Setting up ExpressVPN on my Macbook and iPhone was easy, as I would expect from a serious contender in today’s VPN space. The biggest hurdle was entering username and password correctly, because I like long and complicated passwords! Usually this is my least favorite part to test and write, but it wasn’t bad at all. 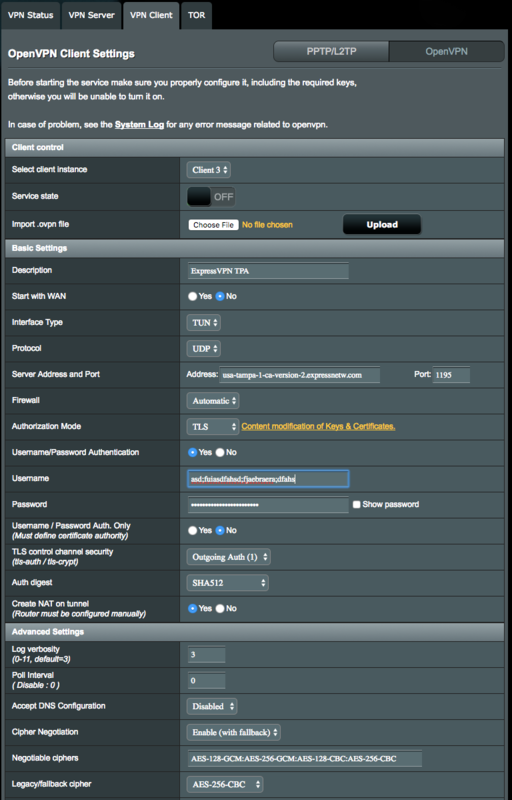 I followed the instructions I received in their welcome email and was able to get my ASUS router’s OpenVPN configuration set up in just a few minutes. Connecting was a breeze and everything worked on the first try – which I have to admit, was a first! Speed is an important factor choosing a VPN service because what good is a secure connection that is so slow you can’t wait to turn it off? We used to use a rather elaborate setup to determine VPN speeds that eliminated as many variables as possible and we have stopped doing that. 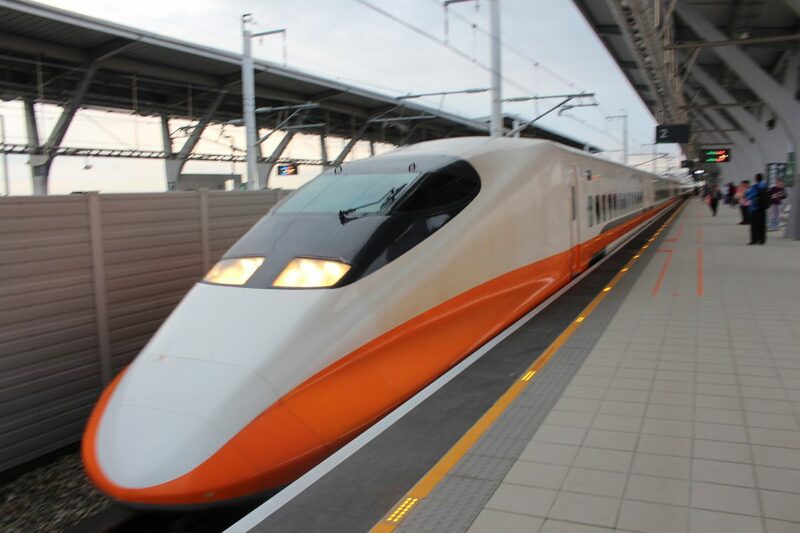 The reason is simple, the only thing that matters when using a VPN is the speed under real world circumstances. In contrast to what some VPN providers claim, using a VPN decreases your Internet speed, even if it is for no other reason than that you are adding encryption and an additional server between your device and whatever web server you are communicating with. Our testing showed an average download speed of around 15 Mbps and uploads around 8 Mbps, pings were around 50 ms. We used speedtest.net for testing and without VPN our connection speeds are about 100+Mbps upload and 12 Mbps download with pings around 11 ms. While this is a huge difference it is in line with the other VPN services installed on the same router, with ExpressVPN being one of the faster VPNs. I know, I know why should you pay for a VPN when there are free ones out there? Let’s be blunt, there is no such thing as free. If you aren’t paying for it you are the product! Have you ever wondered why Gmail doesn’t have a customer service line for mail users? All plans come with the exact same features, so pick your price! They accept many forms of payment, including PayPal and Bitcoin next to Credit Cards, but also many local payment methods such as WebMoney, GiroPay, or iDeal. ExpressVPN offers an impressive list of features for a very reasonable price. The are located in the British Virgin Islands and determined to keep your private data private. ExpressVPN was easy to set up and immediately worked as expected. They support a wide array of platforms and protocols making it easy to connect just about any device. During testing we achieved speeds up to 15 Mbps, enough to smoothly stream HD content or download large files, so nothing to sneeze at, and a brief support chat was friendly, efficient and answered our question. Thanks for reading and we’d love to know what you think about ExpressVPN. Please consider leaving a comment!